Its pretty much almost exactly 20 years ago that I started to dabble with computers and design. I was working at the independent record label and book publisher Zytglogge Verlag in Switzerland. We were making adds and info publications the traditional way. We used Letraset and we had a repro-camera much like these plus a traditional photo copier to create marketing material for the books and cd’s the label released. At this point the industry was moving to making entire layouts digitally and creating films directly from the Mac and all we were using our MacPlus for was administrating client addresses. After working for about a year on this MacPlus creating A4 & A3 layouts, cd-lables and other print material the company was convinced to invest money into 3 full blown Apple workstations and to start creating all layouts in-house. Inclusive all the books they published and are still doing it this way today. Now 20 years later I got myself a Mac again. 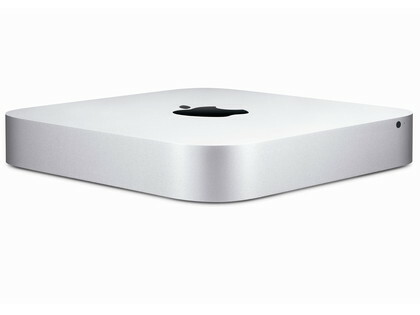 A MacMini. I needed it to be able to work on the iPad project that I am involved with. We’re creating tools and toys (apps) for the iPad’s and iPhones of this world. And to be able to compile and test myself I needed a Mac, because compiling and deploying from Unity 3D is impossible from a PC. I am quite surprised about the power of this little box. I got the smallest version with a core i5 CPU and upgraded the memory to 8 GB. So far Unity 3D runs flawlessly on it. The OS is quite different than it used to be. My last contact with Apple was on OS 7.6 back in 1997-98… I like the Unix’ish backbone in OSX and a lot of Unix commands start to come back and I am getting pretty well around the OS by now. I really like the software Aperture and the way iTunes works on a Mac. I decided to move my entire media library and photos to the Apple platform. But what were they smoking when they reversed the scroll-wheel behavior on OSX Lion… I mean… Talking about muscle memory. LEGO – The Movie from Alex Furer on Vimeo.